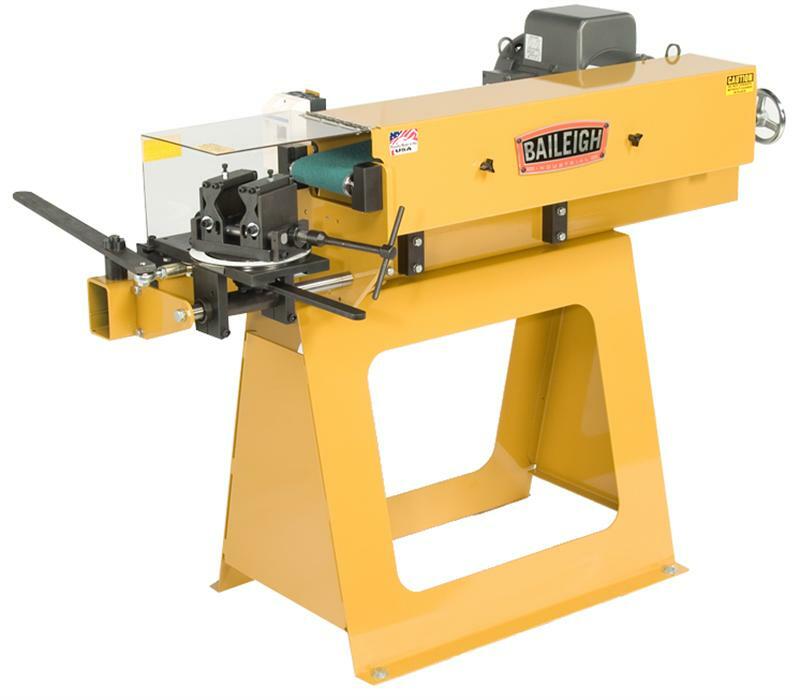 Tube and pipe notchers are widely used in the handrail and manufacturing process to basically fit tubes together for welding. For the round shapes it works very good because it creates a perfect saddle cope for the round tube to lay in the mating pocket for a perfect fit. These notches can be a straight 90 degree fit or even be notched at an angle. For instance, a handrail that needs to go up a stairway is usually 35 to 42 degrees. By setting a the notcher up for this angle creates a perfect fit for welding. 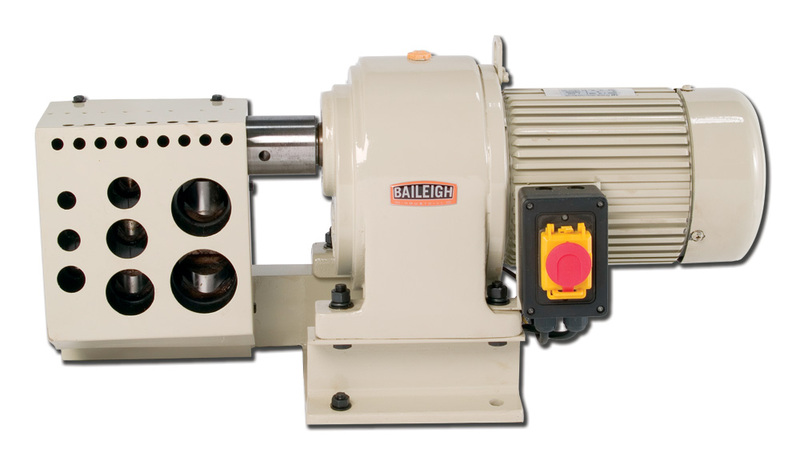 Notchers can be sheared into the end of the tube or pipe or notched with a belt grinding process. 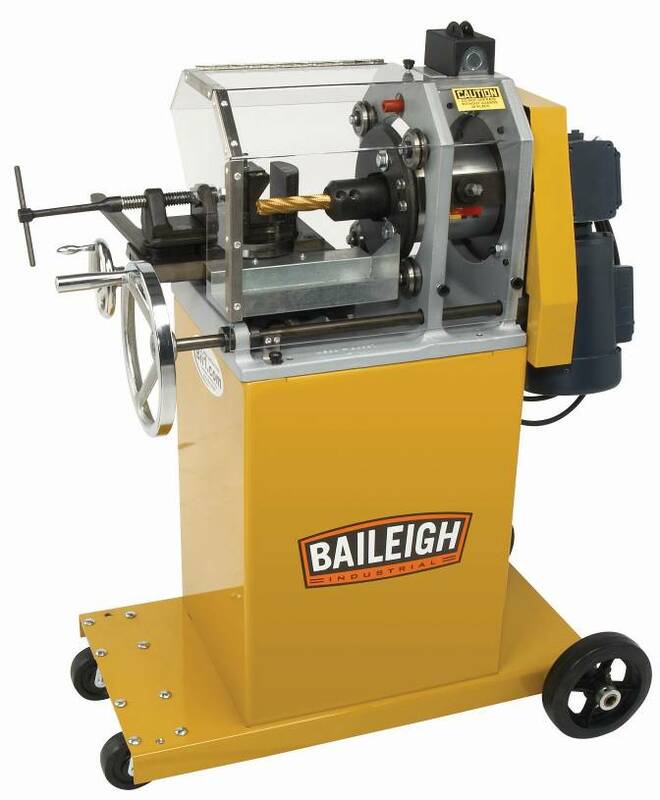 Some of the more expensive and versatile machines such as the Baileigh TN-800 use a milling cutter powered by an electric motor.T his machine allows angles to be cut and also allows adjustable fit from 1/2” OD to 3” OD. This machine also notches square and round tubes. For High production applications we sell the EMI cnc plasma tube notchers. 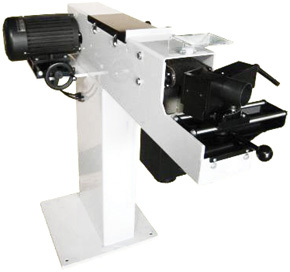 These machines can be programmed to plasma cut small holes, straight and angle notches and also tube cut off. What this does is eliminate the cut to length process ,usually done with a saw. Then the second process would be to notch the end of the tube and them welded. This is done in a single process keeping the welders very busy and the fitting and welding tables.